The entire purchasing cycle was able to be accomplished in just three hours, including a test drive and being briefed on all of the features of the vehicle. Peter Adams, the salesperson, was very knowledgeable and did not try to steer the process away from the initially stated goal presented upon our arrival. My fiancé and I were recently at Silko Honda to buy a used car. Our car salesman, Hansen, was extremely knowledgeable and helpful. We did not feel stressed or frustrated during our car-buying experience. All of our questions were answered and it was a very smooth process. Also, the business manager, Juan, was very helpful. He explained the various warranties and their benefits. He also answered any questions we had. We bought the car that day! This is the best Honda dealership that I been to. I brought my car in for an Oil change and it was free. That because as long as you bring it to Silko Honda for service after you purchase your car, ever other oil change is free. This is my 5th honda that I purchase. 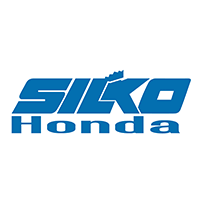 I never got a free oil change until I purchase my auto at Silko Honda!!! Was easy to get an appointment.They did the service I requested and returned the vehicle at the promised time. I like the free oil change every other time. I did not buy my Honda Accord here, but I service it here. I've sold Hondas before as well, but not here. The service department is on POINT... Every time I go in I have a phenomenal experience - It's usually very quick and easy. They are honest and transparent about your vehicle's service needs which is rare if you don't buy your car at your servicing dealership. Decent amenities for a Honda dealership but does not detract from a 5-star. Sales staff are all very friendly as well.